We believe that water baptism 1in the name of the Father and of the Son and of the Holy Ghost, according to the command of our Lord, is a blessed outward sign of an inward work; a beautiful and solemn emblem reminding us that even as our Lord died upon the cross of Calvary so we reckon ourselves now dead indeed unto sin, and the old nature nailed to the tree with Him; and that even as He was taken down from the tree and buried, so we are buried with Him by baptism into death: that like as Christ was raised up from the dead by the glory of the Father, even so we should walk in newness of life. 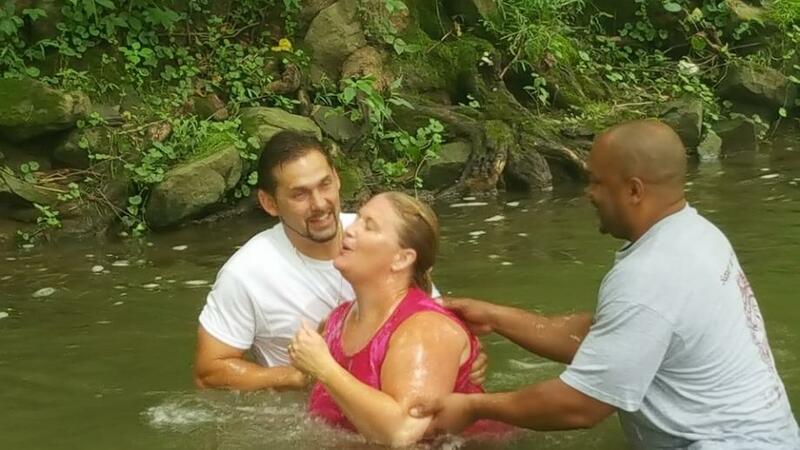 We believe that we are baptized in water after we believe and it is our public identification as a Christian. We do baptisms about every three months during our first Wednesday services. Please see the connection table in the back to sign up for the next baptism.